“We are approaching the Temple Mount/al-Aqsa compound,” our tour guide Hana said, using her hand to sign a slash between “Temple Mount” and “al-Aqsa.” “It is important to refer to both names. 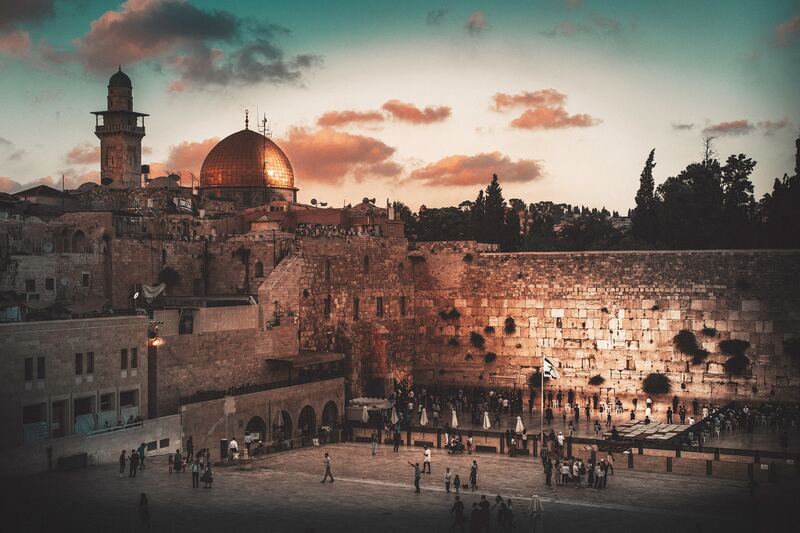 If you use only one, you negate an entire people and history associated with this holy place.” Walking in the hot, crowded streets of the Old City of Jerusalem this summer, I was more concerned with the Christian holy sites than political correctness. But Hana, a Jewish-Israeli woman, was not simply trying to be politically correct. Her careful and clunky verbiage reminded us that Jerusalem is saturated with tensions and passionately held viewpoints. When you only listen to one story, you neglect so many others. Davidman inhabits characters he has met on multiple trips to Israel and interjects his own first-person stories. A few of these characters remain in my memory long after the credits. A fiery, progressive American-Jewish rabbi decries the tragedies Israel commits against Palestinians. “This is not my Judaism!” he yells through tears. Another American Jew defends Israel’s right to exist in the land they were promised. Speaking as himself, Davidman describes the feeling of belonging and rootedness he experienced on his first trip to Jerusalem, though he is at odds with Israeli policy today. Naming and identifying these 17 stories, “Wrestling Jerusalem” boldly articulates Ignatius’ spiritual vision and fights against the evil of silence. We also meet a female Palestinian UN-worker whose daily commute includes intimidation and delay at the West Bank border wall. Then there is the pot-smoking Dead-Sea dishwasher, who gives the audience the chance to breathe and laugh amid the series of impassioned stories. We later realize that he self-medicates because he is still reeling from surviving the 1997 Ben Yehuda Street suicide bombings. He prefers not to watch the news. The audience of “Wrestling Jerusalem” will bring their own baggage to their viewing experience—Davidman knows this. The narrator tries to anticipate his viewers’ objections at the beginning of the film: “No, no, you might say. It was 1967. The Six Day War. That’s when the real problems started. No, you might say, it was the Yom Kippur War. 1973. But really, you might say it was 1947.” Davidman recites this litany of historical moments until it feels overwhelming and ridiculous. The noise of contradiction silences the audience’s own prejudices and biases, and allows one to sit for an hour and a half and actually listen to the 17 different characters. The film evolved from a stage production, also written by and starring Davidman. The director, Dylan Kussman, brings the production to the screen with these theatrical origins in mind; the film interweaves three settings: a theater’s stage, a desert landscape and an actor’s dressing room. Kussman says he was careful not to simply translate theatrical scenes literally into cinematic sequences. For example, rather than filming Davidman praying at the Western Wall, Kussman presents him on stage with his back to the audience, praying before a large wrinkled tapestry. Alternately, wide sweeping shots of Davidman alone in the scorched desert give the film dimensions the stage never could summon. Yet, the most powerful setting is the intimate representation of a backstage dressing room. Davidman’s characters deliver their lines to the mirror—to themselves—in cramped space. While the film itself has shortcomings (Davidman knows, for example, that there are limits to being an American-Jewish man playing Palestinian-Muslim men and women), “Wrestling Jerusalem” models a starting point for dialogue. With its daring, and often moving, monologues, the film allowed me to wrestle with my own time in Jerusalem and envision a way forward in this strongly divided time. In his rules for discernment, St. Ignatius describes the work of the evil spirit as a “false lover” who seeks to keep his seductive ways a secret. To combat this, one should—as Davidman does —name and identify diverging viewpoints without judgment, in order to push the conversation forward. Naming and identifying these 17 stories, “Wrestling Jerusalem” boldly articulates Ignatius’ spiritual vision and fights against the evil of silence. A jilted bride clings to her faith in "The Wedding Plan"
When I spent three weeks in Jerusalem this summer, I saw that human problem first hand, if fleetingly. My trip was cut short after shootings near the Temple Mount/al-Aqsa Compound led to continued unrest in the city. I left with a deep sadness and did my own wrestling. Jerusalem is supposed to be Yerushalayim, the Abode of Peace, or al-Quds, the Holy One. When is the city going to live up to these names? The Arabs [the name Palestinian was not used by them until Arafat told them to do so as a public relations ploy] refused the original United Nations partition into two nation states, which they now insist is what they want. Peace can only follow if they stop denying the right of Israel to be a nation. Israeli transgressions must always be understood in the context of multiple invasions by Arab armies and multiple campaigns of terror against civilians. Until Israelis are convinced that there is permanent acceptance of their national existence by those who now deny their right to exist, they can be expected to continue their contrary policy of aggression through settlement. Never forget that the five invading armies of 1947 told Arabs to leave, get out of the way, while the armies cleansed the land of Jews. Remember that the Arab families who fled have been kept in camps by other Arabs for 70 years, not integrated into those Arab societies, not resettled. Angelo Jesus Canta is an O'Hare fellow at America.